Internal and external: The Immaculate Conception 8th December, 40 hours of Adoration with procession 3rd/4th Sunday of September. Internal only St. Anthony of Padova 13th June, The Stigmata, 17th September, St. Joseph of Copertino 18th September, St Francis of Assisi 4th October. Fr. 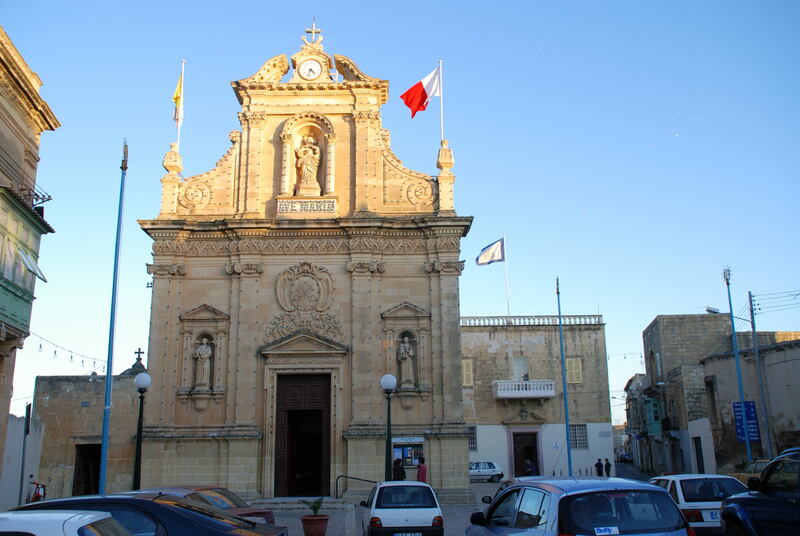 Jacob de Leo Provincial Minister of the Sicilian Province established in 1492 the Friary at the outskirts of Rabat, the capital city of Gozo. 1492: the friars were entrusted with the Chapel of St. Mark “in contrada San Giacomo”, Rabat, by the bishop of Malta Mgr. Paolo de la Cavaleria. A cemetry of noble people existed in front of the same chapel and a cross made of stone marked the boundry of the said cemetry. The friars dwelt in some big caves that existed along the falls of the compound. In 1535 the titular of the chapel was changed to that of St. Francis. Throughout the five hundred years people from all walks of life sought the services of the friars. A wooden statue of St. Isidore exist in the church since 1680. In 1698 a wooden statue of Mary Immaculate was used in the procession. In 1663 a Confraternity of the Immaculate Conception of Mary was founded in the church to help the organisation of the feast of Mary Immaculate. The Conraternity still exists today.